Let’s be honest: some student associations at Concordia can come across as a little vanilla sometimes—run-of-the-mill, hum-drum, old hat. The Arts and Science Federation of Associations and the Concordia Student Union may cater to one’s bureaucratic needs, but when it comes to personal interests, the road ahead can seem bleak. The good news is there is an abundance of student organizations at Concordia that don’t fit in with the academic norm. You may have never heard of most of these groups, so here are three of Concordia’s unknown student association gems which you can join today. Need to blow off steam? Look no further. This student association meets every Saturday from 6 p.m. to 8 p.m. at Le Gym to play the free, fun and stress-relieving sport of dodgeball. Just as he says, anybody can join, and no one has to commit to playing weekly. New students come to get their game on every week. Every semester the league has a tournament, and according to Aiello the students love it. More information can be found on their Facebook page, CDL—Concordia Dodgeball League. This is more than just a group of students who sit around and talk about tea while drinking tea—well, there’s a bit of that. But according to CUTEA’s events coordinator Shai Marshall, their main objective is to promote a more friendly and stress-free environment. CUTEA is trying to focus on hosting more on-campus activities this year. They’ve organized a comedy night coming up on Feb. 5 with guest comedian Darron Checo from Just For Laughs, and have monthly meetings. More information can be found on their Facebook group, Concordia University Tea Enthusiasts Association. “Tea is a part of it, but I wouldn’t say it’s the main thing. It’s more about promoting a positive healthy lifestyle,” Marshall said. If you’re trying to break into the tech industry, this group is the place for you. HackConcordia’s main objective is to recruit people to participate in hackathons to sharpen their computer skills. “It’s not in the sense of hacking into systems but more hacking a project together,” said HackConcordia president Buruç Asrin. Hackathons are 24-to-36-hour events in which sponsoring companies provide an off-the-shelf piece of software, and participants are asked to use this product to create a piece of technology. “The tech industry considers them as unofficial career fairs,” Asrin said. HackConcordia also offers resources to students who are hoping to get a job in technology. That means documentation, links to tutorials and free books online as well as specific technologies helpful for these hackathons. ConUHacks, Concordia’s hackathon, will take place this coming weekend, Jan. 23 to 24 and was organized by HackConcordia. There are 250 participants on board, gearing up for 24 straight hours of mayhem. On top of these groups, Concordia also has an Otaku Anime group, a ski and snowboard club, a street dance club, a bitcoin and crypto club and hundreds more. 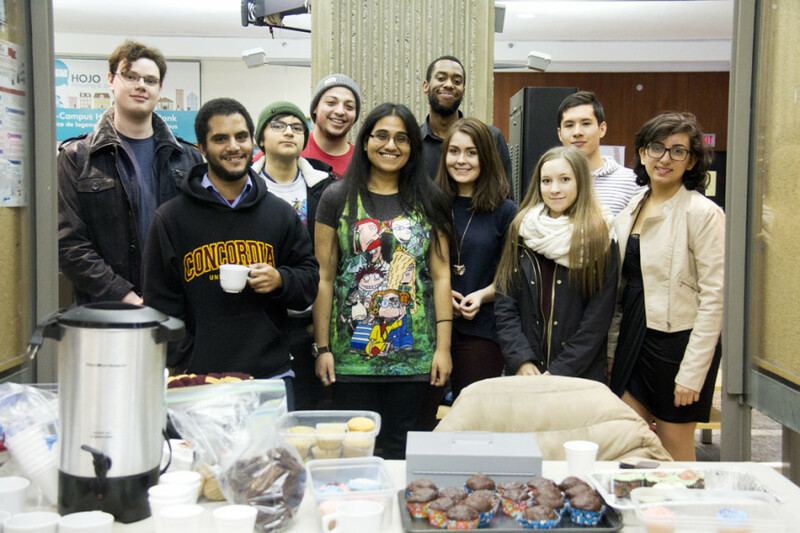 University doesn’t have to be all about student politics and undergrad bureaucracy—take advantage of the associations Concordia has to offer and get involved.